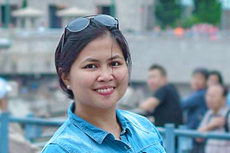 Traveling nowadays can either be affordable or expensive – depending on where you are traveling to or the activities that you will be doing. This is also applies to our travel accessories that we use when we travel. The quality of our travel accessories can often make or break a trip. Stained clothes because of unorganised make-up or toiletries; crumpled clothes; lost cable wire.. and the list goes on.. When it comes to good quality, we are often misguided of the thought that the more expensive an item is, the good the quality it is. But, that is not true in some cases. There are still cheap and affordable items that are good quality and very helpful. Thankfully, as the consumer market has widen, a lot of brands have expanded their range of products to make some (if not all) of them more easy on the pocket to a lot of people. 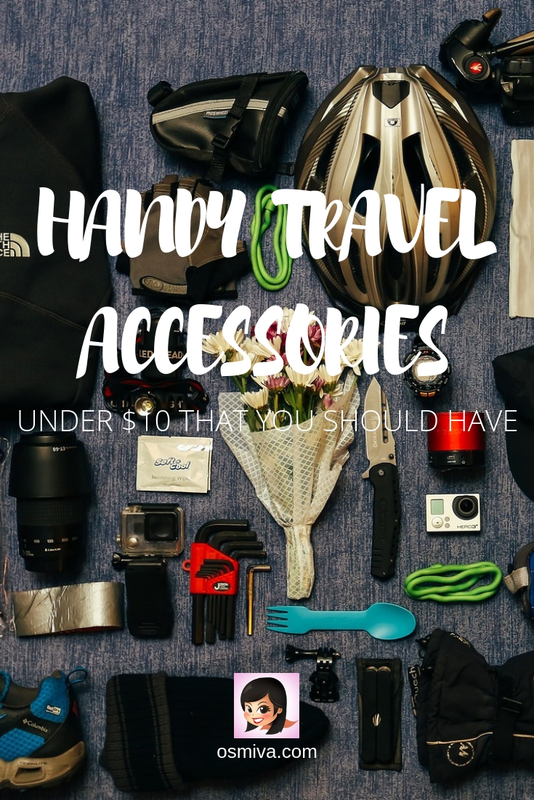 We have compiled below some useful but cheap travel accessories that you will love to use on your next travel. The items come in a wide variety including those that we use daily or when necessary. Check out these accessories. I’m sure you’ll find them very very helpful! Make up and cosmetics are a must-have travel companion for most girls. This travel makeup cosmetic bag from Mr. Pro will make her happy and organised. It’s feminine yet very convenient and affordable. The bag’s multiple pockets come in a variety of sizes that can fit most (if not all) of her travel items. Waterproofing of your cosmetics is important to ensure it does not get stained or ruined whenever you are on the road. This waterproof cosmetic bag from Zoevan is pretty handy and stylish too that’ll make you want to bring it with you anywhere you go. The bag is foldable, portable and lightweight. It’s washable too so you can clean it anytime and anywhere. Tired of wearing crumpled shirts whenever you are on the road? Sundell’s portable folding clothes hangers will come handy for keeping your shirts and blouses neat and crease-free. The hangers are convenient and lightweight. And will not be a burden to bring when you travel. A great thing indeed as will help you be more organised and neat. Bringing a lot of liquids with you when you go on a trip is a big no-no especially if you intend to go light. These portable soft silicon travel bottles from Kitdine are great travel companions to keep your liquids (e.g shampoo, conditioner, body wash) in place and easy to use. It doesn’t hurt that these travel bottles come in cute light colours too! Small gadgets like USB card, headphones and charger cables are hard to store at times as they can get tangled and lost with the rest of your belongings. This universal carrying travel case from Zepthus is a cool case to have to keep your small items safe and on hand. If the universal carrying travel case is not enough for you, the shockproof carrying case from iMangoo might just be! The case is bigger and can protect large gadgets like powerbanks and cellphones from breaking. The bag also has built-in soft mesh pocket to hold your USB Cable and Memory Cards in place. Isn’t it annoying to be unpacking your stuff at the hotel or hostel or wherever you are staying only to find out that your clothes have got dirt on them just because you forgot to clean your shoes/ footwear before packing them? These waterproof shoe bags from FashionBoutique will be your ultimate (and affordable) solution. The bags come in multicolour and are durable so you wouldn’t have to worry about wear and tear. If you love to exercise or be outdoors most of the time, this cooling towel from Balhvit is a great accessory to invest on. The towel is perfect especially during summer when the heat is unbearable. It keeps you cool when exposed to heat or when doing exercises. If you (or your female partner) is an outdoorsy type of person or an adventure-lover who goes on hikes, this innovative urination device is a must-have. GoGirl is a discreet, reusable, funnel-shaped device that you can use anywhere. Being a girl can be very hard especially when you need to have restroom break when no restrooms are available. This item is very handy to have and is certainly very affordable. Certainly an item you can include in your Mount Pulag packing list if you go! Keeping our hygiene especially when traveling is important. But travel accessories like razors can be a no-no especially when boarding a plane. This on-the-go razor from Gillette Venus is convenient as it is carry-on friendly and can be taken on both domestic and international flights. The razor is easy to use and very portable so you can take it anywhere with you. If you are the type who gets annoyed by foul smelling odour when you use the bathroom or before you use the toilet, then this will be a good travel item to have when you are in the road. Poo-Pourri is very handy and can be discreetly used. You wouldn’t have to worry about annoying other people when they use the restroom after you. When traveling abroad, one of the things that we must be conscious about are the plugs that we are going to use. If you have this adapter plug set from Ceptics, you wouldn’t have to worry about it! The set comes in six (6) types of plugs so you are assured that you’ve got all types covered. Pretty handy especially if you’re planning on a world trip! Sometimes we have extra baggage with us when we travel. And that’s alright. But what’s not alright is when we don’t have enough space on our bags to hold that. This Add-A-Bag Luggage Strap from Westonetek is a great accessory for traveling as it gives you the opportunity to carry another bag or bring that extra jacket with you. The strap is heavy duty and made from premium nylon material so you wouldn’t worry of it breaking when you least expect it. Securing our things when we travel is very important. We basically wouldn’t be enjoying the trip if we consistently worry if our things are safe enough at our chosen accommodations. This cable luggage lock from Master Lock will (if not completely erase) lessen the worry. Its best used for backpacks, bags, briefcases, and luggage and are very easy to use. If you’re traveling with kids or with companions this multi headphone splitter from AmazonBasics will be a lifesaver. Especially with the young ones to keep them from getting bored and get them to share. The splitter allows you to share audios to multiple headphones thus allowing several people to watch a movie or listen to music without disturbing others. So… What do you think? Cheap can be pretty awesome too! 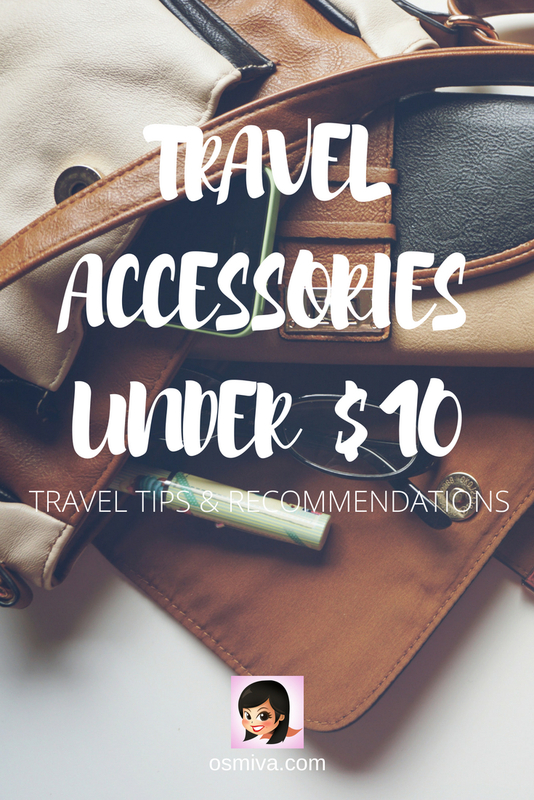 Such a great list of travel accessories, Marvi! I will have to get each one of these items, especially those silicone bottles. Thanks for the handy post! Aww.. Thank you, Lydia! 🙂 Glad to have helped!